6 February 2017. Profusa Inc. and a research center at North Carolina State University are developing a new device to monitor tissue oxygen levels in people with peripheral artery disease. The project by Profusa, in South San Francisco California and NC State’s Advanced Self-Powered Systems of Integrated Sensors and Technologies, or Assist, Center in Raleigh is funded by a $1.5 million grant from National Heart, Lung, and Blood Institute, part of National Institutes of Health. The project aims to advance Profusa’s oxygen monitoring technology to where people with peripheral artery disease can wear a monitor on the skin like a patch. Peripheral artery disease results from plaque building up and narrowing arteries, reducing the flow of blood and the oxygen it carries to tissues, particularly in the legs. Smoking and age are key risk factors for peripheral artery disease causing pain and numbness in affected areas, and gangrene from infection in advanced cases, leading to amputation. Profusa’s technology, called the Lumee oxygen sensing system, continuously monitors oxygen levels in tissue in the limbs of people with peripheral artery disease. The system employs sensors, injected into patients, measuring no more than 5 millimeters in length, about 0.2 inches, and 500 microns, or 0.02 inches, in diameter, and made from a porous gel that simulates the microenvironment of cells. The gel contains fluorescent molecules that react to the presence of target biomarkers. An optical reader measures the level of fluorescent signal from the sensor indicating the level of target molecule, in this case oxygen in tissue. Although worn on the skin, the device is bulky and protruding. The new initiative expects to take advantage of the the Assist Center’s work with wearable, low power nanotechnology and wearable nanoscale sensors to devise a thin, more flexible monitor worn on affected feet or limbs like a bandage. Among the Assist Center’s current projects is sampling of a person’s sweat for non-invasive monitoring of glucose or lactose levels. A flexible patch monitor is expected to do more than be easier to wear. The project team plans to design the patch monitor for continuous monitoring, generating data transmitted wirelessly for physicians and caregivers, as well as the patients themselves. In addition, the team expects the device platform to be applicable to a wider array of sensors and monitors, and broader range of disorders. The NIH award is part of the agency’s Small Business Innovation Research, or SBIR program that sets aside grant money for small companies developing new treatments or medical devices. This award is a phase-2 or advanced development grant to Profusa that plans to conclude with a clinical trial testing the device in humans for safety, wearability, functionality. As reported in Science & Enterprise, the company received an early-stage SBIR grant in April 2016 to demonstrate the feasibility of its technology. 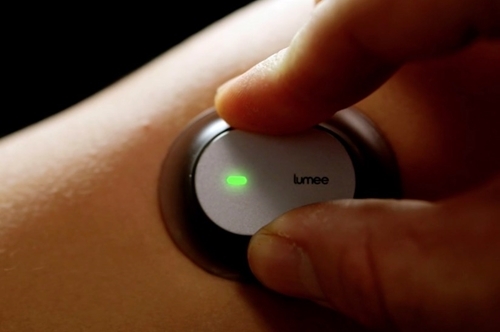 In October 2016, Profusa received Conformité Européene or CE regulatory approval for the Lumee device in Europe.